Place potatoes in a pot with cold salted water and bring to the boil. Cook for 10min or until cooked through. Drain and cut into small cubes. 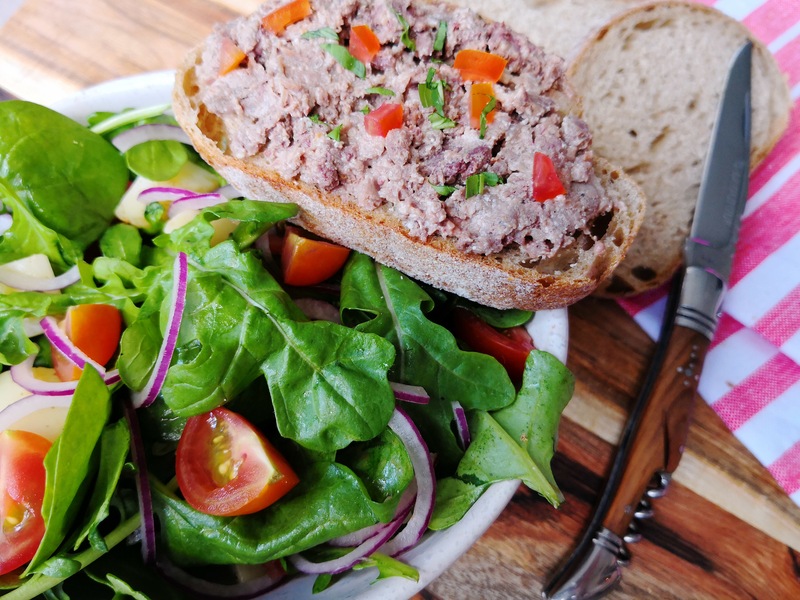 Place baby spinach and Rocket in a salad bowl. Add the potatoes and the dressing. Mix well. Finely slice the red onion and quarter the cherry tomatoes. Add to the salad. 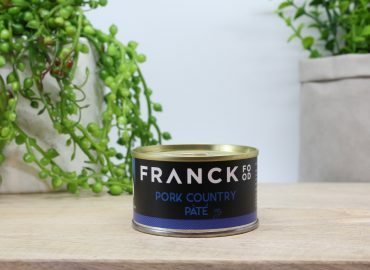 Spread a generous amount of FRANCK FOOD Pork Country Pâté onto each toast and serve with the salad.